Raymond and the Royal Botanic Gardens, Kew have created a fabulous new kitchen garden to showcase the heritage and botany of our plants and uncover their growing and cooking secrets. 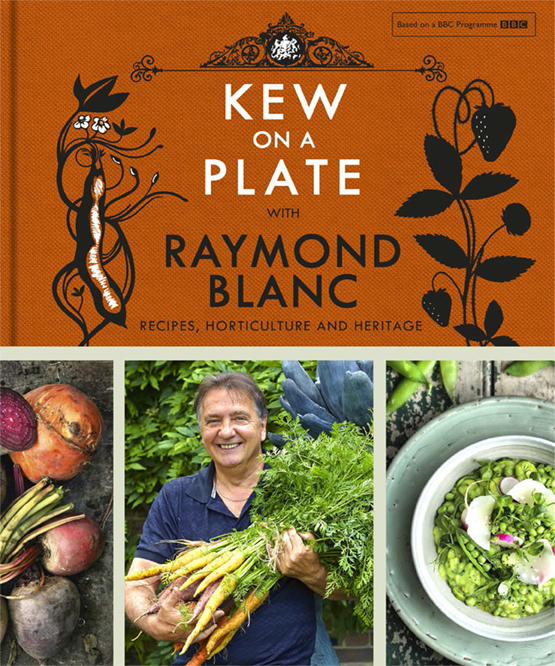 The experts at Kew offer their priceless advice on growing our favourite fruits and vegetables whilst Raymond brings unparalleled expertise in the kitchen and a passion for honest, pure ingredients with over 40 recipes and tasting notes. The book features stunning historical illustrations, woodcuts and imagery as well as beautiful food photography to make this something to really treasure. Copies are available to buy now in all of our brasseries. And don’t forget to watch the accompanying BBC2 television programme which RB co-hosts with Kate Humble. The first episode, show casing Spring, aired last Monday at 9pm, and featured delicious dishes from the new book. Look out for BB versions of the spring pea risotto, the grilled asparagus with cauliflower crumble and the poached rhubarb in our brasseries.